There are just seven islands but so many things to discover in this most popular of Sicilian archipelago. 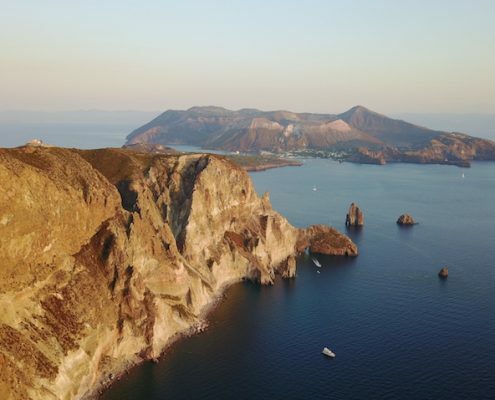 We have already explored some of what you can do on an Aeolian Islands yacht charter aboard the catamaran Kaskazi Four and now we reveal some more. Our second ‘date’ with Kaskazi Four, her crew and captain Francesco Rinauro. 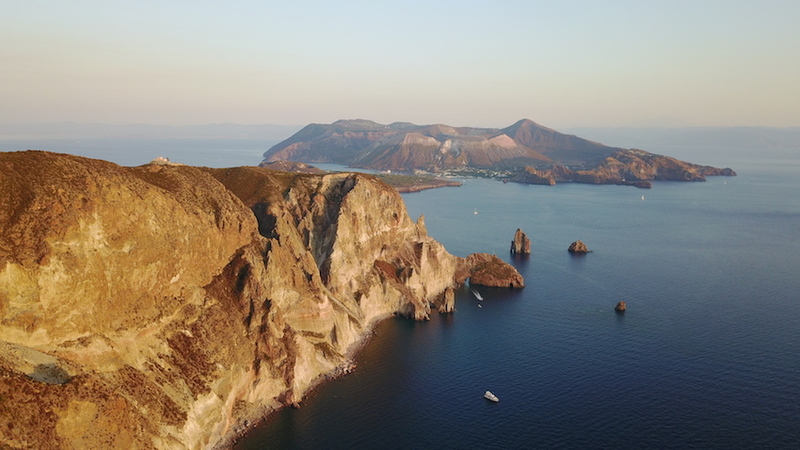 In our previous article on Aeolian Islands yacht charters aboard Kaskazi Four , we introduced a whole host of localities that would appeal to fans of archaeology, diving and wellness and relaxation-oriented cruises. This time, however, we’ll be telling you about some itineraries that will reveal the delights of the local volcanoes, trekking and hiking opportunities in the islands and the equally enticing local gourmet and wine routes. 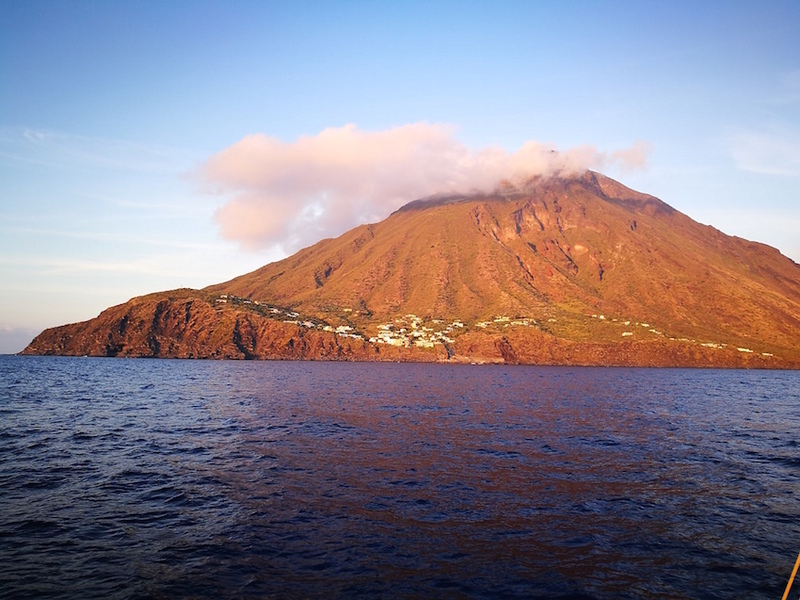 Three Aeolian Islands yacht charter holidays under the watchful and expert eye of a team of professionals who know this area intimately and have a wealth of local contacts. That means, of course, that they can whisk you off to hidden corners well off the beaten track and open doors for you that are normally closed to tourists. 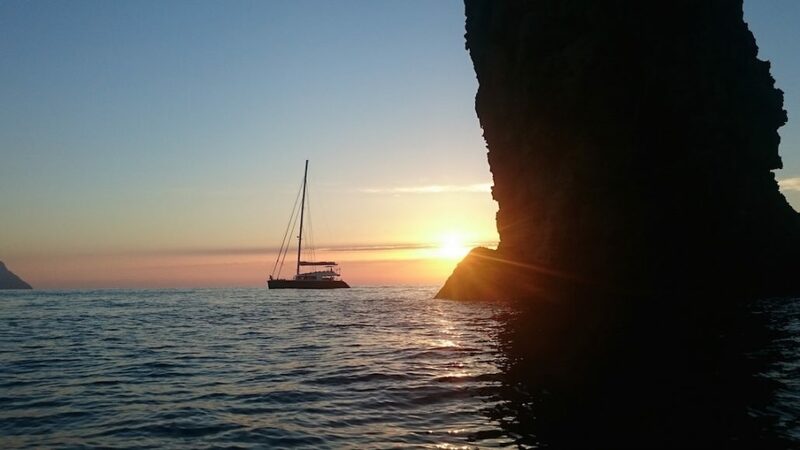 Kaskazi Four is still available for a Sicilian charter from September 10 to 17 offering a Naples – Milazzo itinerary: 7 days for 21,000 euro (instead of 24,000 euro), flexible dates. 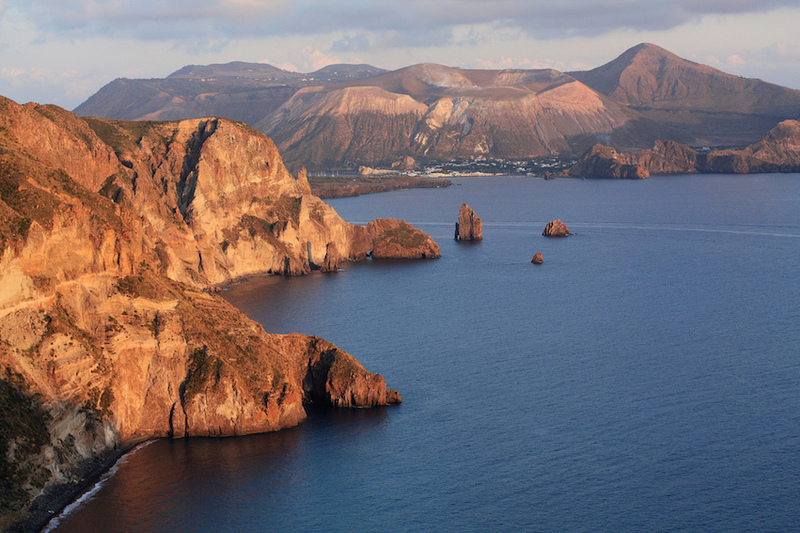 The Aeolian Islands are all volcanic and are actually the peaks of 3,000-metre submerged volcanoes. As you sail along their coasts you will be astonished by the endless steep cliff faces created by layer upon layer of eruptions and erosion by the sea. The views are dazzling too with the dark black of the sand and rock contrasting to dramatic effect with the gleaming turquoise of the sea. 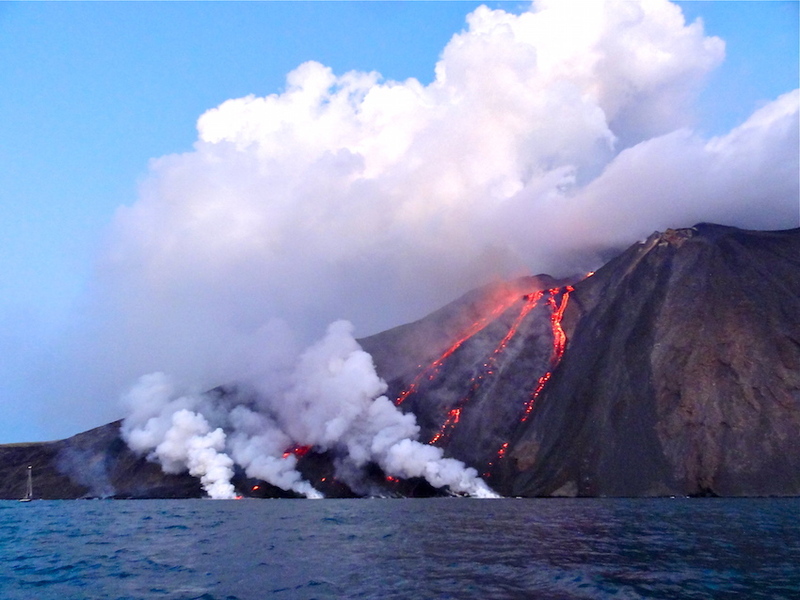 One of the absolute musts on any Aeolian Islands yacht charter is watching the Stromboli volcano’s eruptions in the evenings. 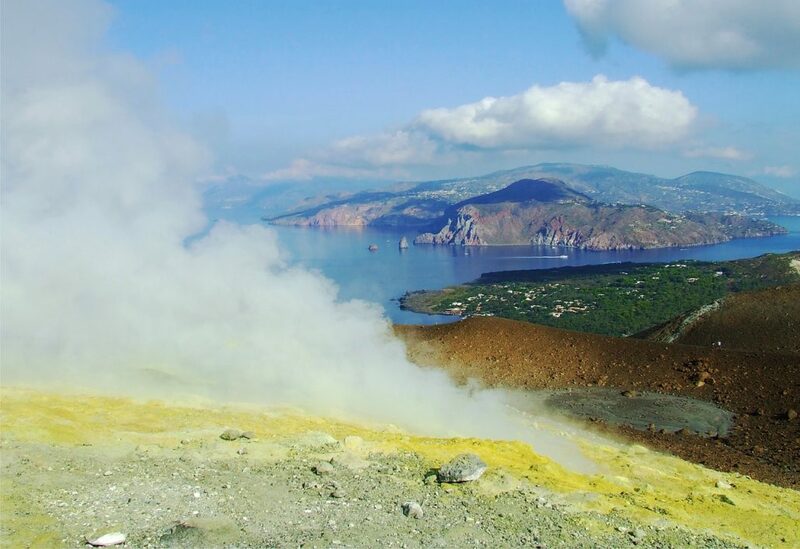 Luckily, the volcanic activity on the largest and most active volcano in the Tyrrhenian Sea is confined to the uninhabited side of the island and thus poses no threat to either local residents or tourists. 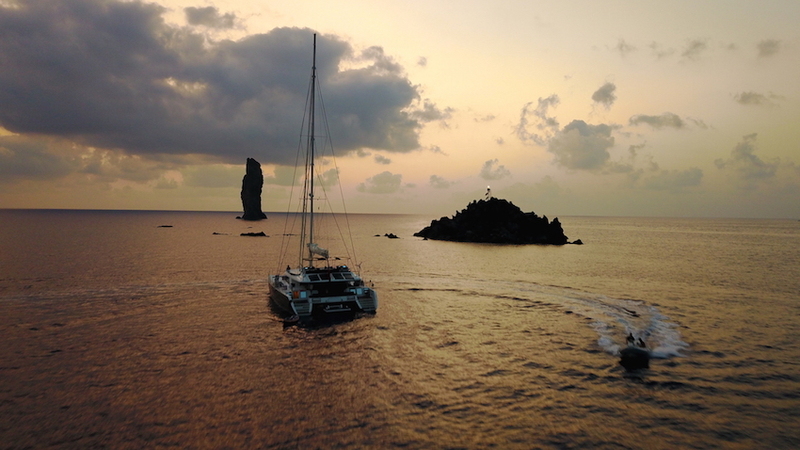 But watching it from the sea is a genuinely unmissable experience and Francesco Rinauro knows just where to position his catamaran to get the best views. 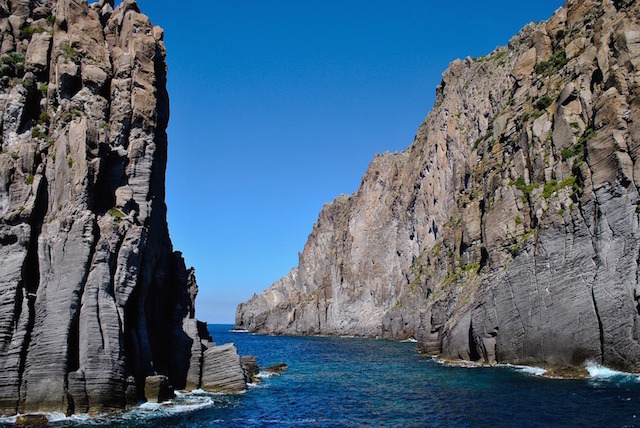 Don’t miss the Filicudi volcanic neck either – it towers a majestic 76 metres out of the water and plunges 40 to the seafloor. The neck is all that remains of one of the oldest volcanoes in the Mediterranean and if you linger nearby in evening time, you’ll enjoy a marvellous sunset. 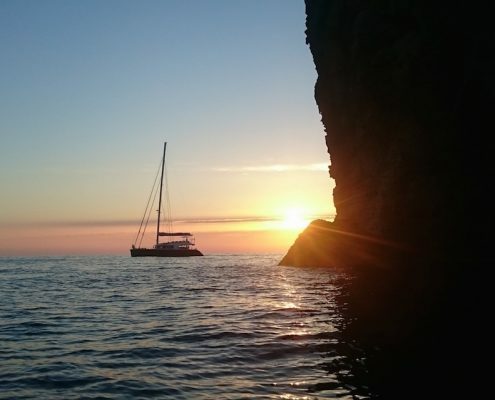 Kaskazi Four’s captain will also take you to visit the Grotta del Bue Marino, one of the largest and most famous sea caves in the Aeolians. Because of the perfect acoustics, concerts are held there on August 24 each year to celebrate the Feast of Saint Bartolo, patron of the Aeolians. You will float into the cave in an inflatable rowboat and then walk down a tunnel that very few people even know exists which leads to another smaller cave where monk seals from which it takes its name once hid from their human hunters. 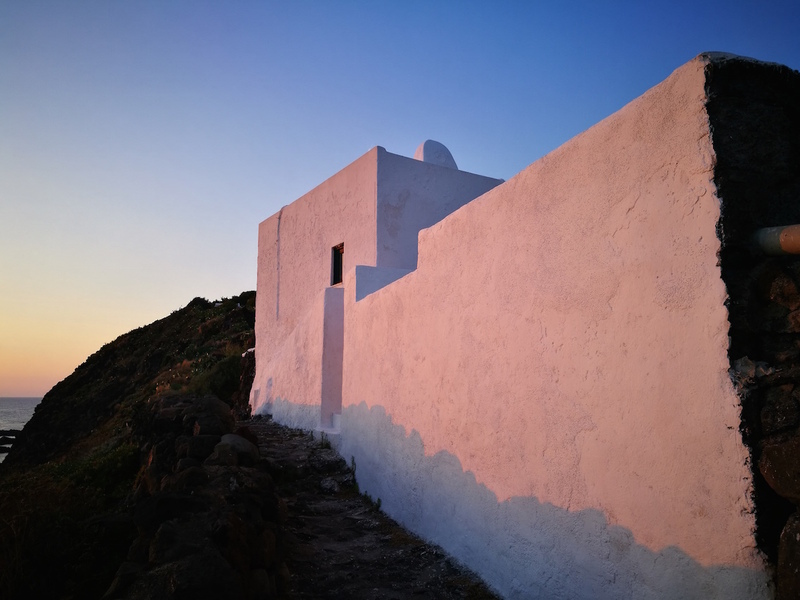 But there will be more to your holiday than seafaring on an Aeolian Islands yacht charter: the archipelago is also a favourite destination for hikers and walkers. 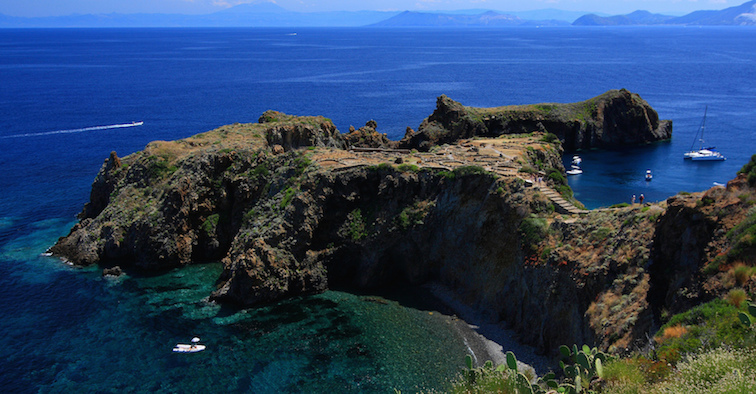 The most spectacular spots of all for trekking are Stromboli and the hike up to the volcano, and Salina which has a trail that leads to the Fossa delle Felci, a crater a little higher than Stromboli but with a complete different wall covered in a lovely oak and fern-filled forest. Francesco Rinauro has great contacts with all the local guides on Stromboli and so can organise private hikes up the volcano for his guests. It is an experience you will never forget. 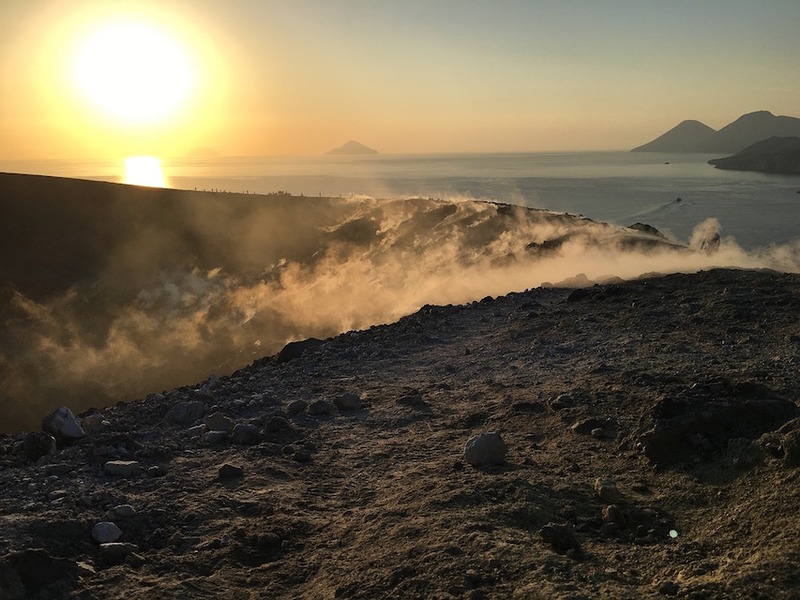 You start out at between 17.00 and 18.00 in the evening to ensure you arrive around sunset and get to watch both night falling on the coast below you and showers of burning rock spewed out by the volcano that light up the entire vista. You then make your way back down the mountain to the town with head torches. Less popular but equally impressive is the hike up to the Stromboli volcano from Ginostra, a little village of less than 30 souls which can only be accessed by sea through the world’s tiniest port. You have to stop for a aperitif made from white wine, capers and olives in the charming little square in front of the church or on the cliff-top terrace of a house in the Lazzaro area that Captain Rinauro makes available to his guests. 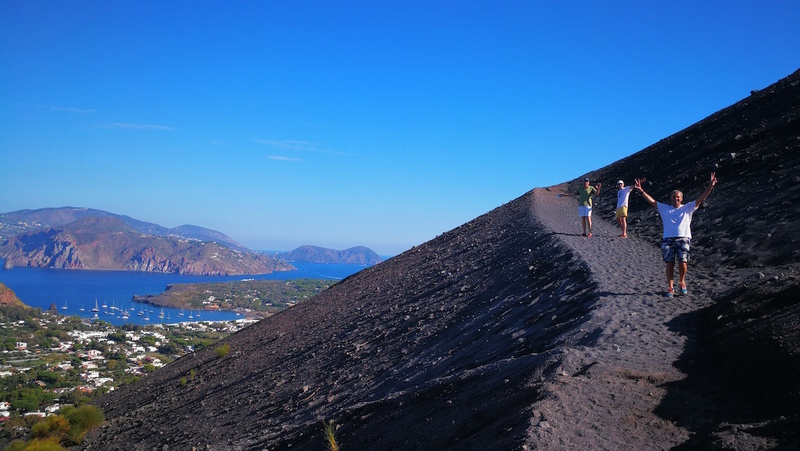 There are plenty of hiking and trekking opportunities on Lipari also. One superb walk will take you to and around the historic pumice quarries on the island where some of the very old industrial buildings and equipment that were in use until the 1950s and 60s still survive. The Malvasia grape has long underpinned the Aeolian Islands’ economy as their hot mild climate and terrain are very suitable to growing it. This is a drought-resistant grape and the volcanic soil gives it a unique flavour. The grapes were harvested and then ripened artificially by laying them out on traditional cane mats in the sun. This method produces a sweet, almost syrupy wine that is also very strong (up to 26%). 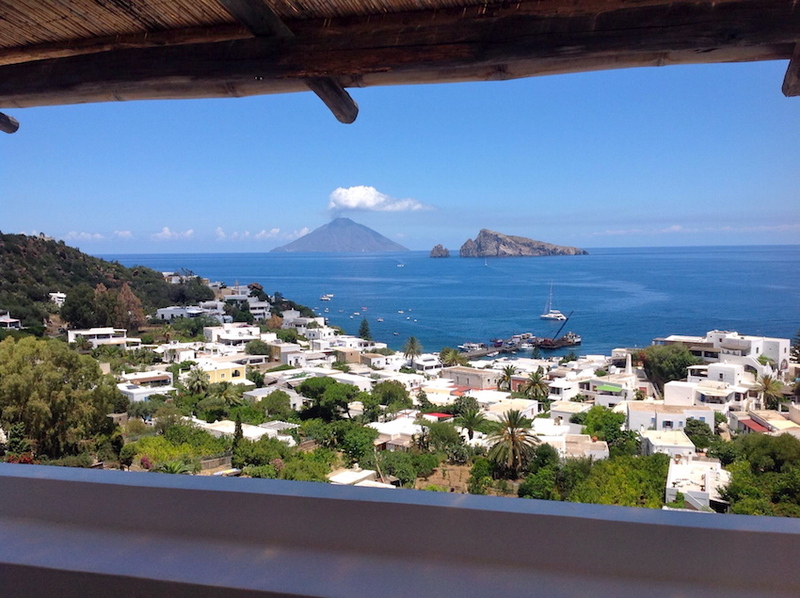 It is still served today in some of the bars on Stromboli and Vulcano while more modern production methods are used over on Salina and Panarea. The most famous producers of dry Malvasia are Fenech, Hauner – both on Salina – and Pedrani on Panarea. Francesco Rinauro likes to take his guests to the areas where the ‘original’ Malvasia was once made. In the 1930s, in fact, 90% of it was exported to Russia. But he also takes them along to the new vineyards and cellars where they can sample the more modern wines and even take home a few bottles. Good wine goes hand-in-glove with good food, of course, and the Aeolians have plenty of culinary treats in store too. Francesco knows a whole host of exclusive restaurants and can book his guests into any of them. La Sirena at Pecorini on the island of Filicudi is a great example – don’t go home without sampling its speciality, pasta with almonds. Da Alfredo at Lingua (Salina), on the other hand, is famous for its granitas of which there are an amazing 20 different flavours and also its pane cunzato or seasoned bread, a delicious poor man’s sandwich. 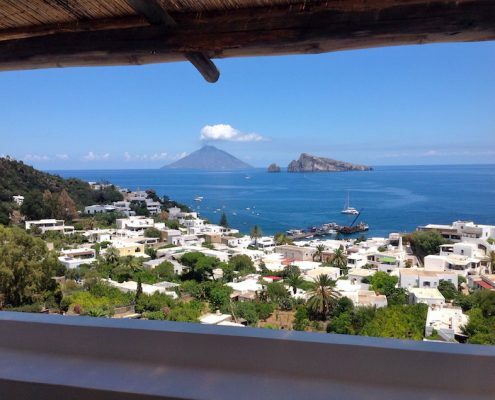 You can either walk to L’Osservatorio restaurant on Stromboli or use the Ape Car service – you’ll adore the fantastic food which is more than a match for the gorgeous views of the volcano. The Bridge Club on Panarea has a Japanese chef who serves some of the finest sushi and sashimi we’ve ever tasted too. Over on Alicudi, let Silvio, a local fisherman, rustle you up one of his truly extraordinary fish dishes in his own kitchen. Expect to dine on anything form lobster to fried moray eel, tuna and swordfish. On Lipari, you can’t miss tasting the absolutely authentic cooking of Attila, a hermit chef who lives in the Baia di Valle Muria and prepares absolutely exquisite fish and vegetable-based dishes for a few very fortunate guests at either lunchtime or sunset. You can then top off the experience with a campfire on her home beach which can only be accessed by sea.